HOME DECOR offers a wide range of Motorization options provided by Somfy® technology. Somfy Systems is the leading global manufacturer of strong, quiet motors with electronic and app controls for interior and exterior window coverings. During the past 45+ years, Somfy has produced over 160 million motors for blinds, shades, drapes, awnings, rolling shutters, exterior screens and projection screens. Somfy-powered solutions easily integrate with home automation systems. Somfy-powered window coverings combine performance and a wealth of experience to maximize the value of home automation systems. 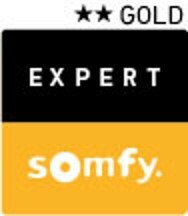 Somfy© offers a 5-year warranty on motors and controls to be free from defects in material & workmanship under normal and proper use. Please click on the following links to access more information regarding our Motorization.